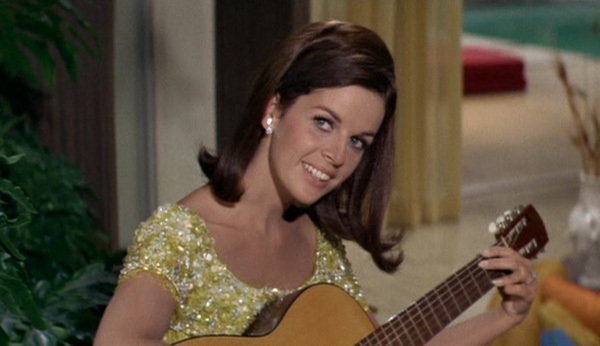 Whatever happened to Claudine Longet? Claudine Longet. Now there's a name from the 1960s and 70s! Wasn't she married to singer Andy Williams? That's right. She and Williams were married from 1961 until 1975. Wasn't she embroiled in a scandal? That's right, too. In 1976, Longet was arrested and charged with reckless manslaughter in the death of her boyfriend, U.S. Olympic alpine ski racer Vladimir "Spider" Sabich. Her trial was a media circus. It was comparable to the O.J. Simpson trial of the 1970s, only there was no CNN back then. Here's how it all happened. Claudine Georgette Longet was born on January 29, 1942 in Paris, France. Her father was an industrialist whose expertise was x-ray technology. Her mother was a doctor. There was a younger sibling too, a sister named Danielle Longet.. As a teenager, Claudine became a show dancer. At the age of 18, she went to the United States to seek fame, fortune and the elusive American Dream. She was hired by famed nightclub impresario Lou Walters (father of Barbara), who had noticed her on French television. Claudine began her career as a Las Vegas show girl, the lead dancer of the Folies Bergère revue at the Tropicana Resort and Casino. In 1960, she met crooner Andy Williams in Sin City while they were both performing there. The pair used to relate a romantic tale about how Andy, who was passing by in his limousine, spotted Claudine on the Vegas Strip, at the side of the road. He pulled over to help her with some car trouble and found himself smitten with the petite French brunette. The story, however, may be apocryphal. Robert Chalmers in his May 2013 article in GQ magazine ("Claudine Longet: Aspen's Femme Fatale.") writes that it seems more likely that they first met while she was dancing at the Tropicana casino. Andy and Claudine married on December 15, 1961 in Los Angeles California when Claudine was 19 years old Williams was 34. 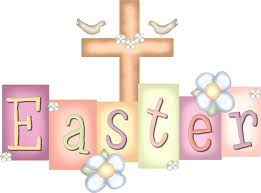 They had three children: daughter Noëlle (born on September 24, 1963), and sons Christian (born on April 15, 1965) and Robert ("Bobby") (born on August 1, 1969). Their youngest child was named after Robert F. Kennedy, who was assassinated in 1968. Andy and Claudine were close friends with Bobby and Ethel Kennedy. In fact, they were at the Ambassador Hotel in L.A. on the night Bobby was shot and Andy sang "The Battle Hymn of the Republic" at his funeral Mass at St.. Patrick's Cathedral. 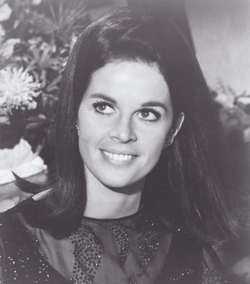 During the 1960s, Claudine Longet appeared in a number of popular TV shows. Her first acting roles on television were in two 1963 episodes of the sitcom McHales's Navy. She also appeared on Dr. Kildare (1963), McHale's Navy (1964), Mr. Novak (1965), 12 O'Clock High (1965) (1966), Hogan's Heroes (1966), The Rat Patrol (1966) (1967), Combat! (1964) (1967) and The F.B.I. (1969). In 1966, Claudine appeared as a guest star on the NBC television adventure series Run for Your Life, starring Ben Gazzara. She played Nicole in an episode entitled "The Sadness of a Happy Time" (Season 1, Episode 30, Air Date: May 16, 1966). In the episode, she sang a bilingual version of the bossa nova song "Meditation" (English and French) and was subsequently signed to a contract by Herb Alpert's A&M Records. She recorded five albums under that label between 1966 and 1970. Claudine had the lead female role in director Blake Edwards' classic 1968 comedy The Party. She portrayed Hollywood starlet Michele Monet in the film, opposite co-star Peter Sellers. Sellers played a bumbling Indian actor who, due to a clerical error, is mistakenly invited to an exclusive Hollywood party, instead of being fired. In the 1970's, Longet landed some more television guest roles on Love, American Style (1970), Alias Smith and Jones (1971) and the Streets of San Francisco (1973). Her last television acting role was as Marie Antoinette in the 1975 TV movie The Legendary Curse of the Hope Diamond. In 1971, Claudine signed a contract with Barnaby Records, Andy Williams' label. She released some singles and two albums (We've Only Just Begun and Let's Spend the Night Together) for the company. 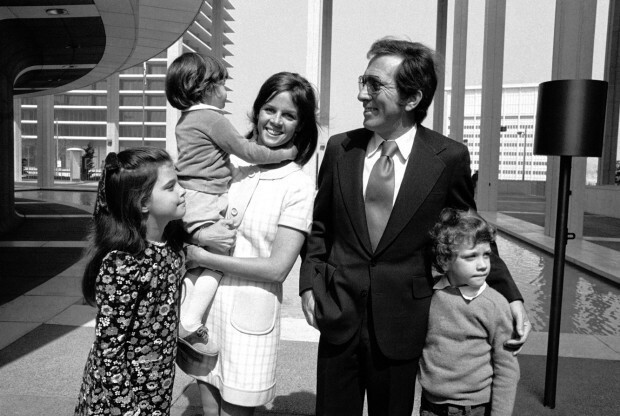 In his 2010 book, Aspen Terminus, author Fabrice Gaogmault writes that "Claudine Longet succeeded in doing what no French woman singer since Edith Piaf had done: selling records in the United States"
After a lengthy separation (about five years), Claudine Longet and Andy Williams divorced in 1975. Nevertheless, they remained the best of friends. She even continued to perform with him on his annual Andy Williams Christmas television special. In 1972, Claudine met Spider Sabich at a celebrity ski tournament in Bear Valley, California. Sabich had competed for the U.S. alpine ski team at the 1968 Winter Olympics and was the pro ski racing champion in 1971 and 1972. The grandson of Croation immigrants, Spider was blond and athletic, a carefree bachelor who enjoyed the party scene in Aspen. The French chaunteuse and her California-born Golden Boy quickly became an item. They set up housekeeping in Aspen, Colorado, at Spider's luxury chalet and Claudine became a leading socialite in the high-living community, The couple resided in the posh Starwood complex, near Spider's friend, singer John Denver. Everything looked rosy for Claudine - until it all came crashing down one horrible Sunday afternoon. On March 21, 1976, police were summoned to the home that Sabich shared with Longet and her three children. Spider's blood was all over the floor of the chalet's bathroom, The 31-year-old skier had been shot in the stomach with an imitation World War II model Luger pistol, purchased by Spider's father in Grenoble, France. A single bullet had been discharged at close range from the .22 calibre pistol in Longet's hand. Police confiscated the gun and some papers, including Claudine's journal (The contents of the diary were later ruled inadmissible as evidence because the diary had been confiscated without the proper warrant). The Pitkin County sheriffs made another procedural error that was beneficial to Claudine's defence. They took a blood sample from Claudine with a warrant. Prosecutors later argued that the sample showed evidence of cocaine in her blood and that the diaries belied Claudine's contention that her relationship with Spider had not soured. There was speculation that Spider had been feeling tied down by Claudine and the children and that they had cramped his bachelor lifestyle. 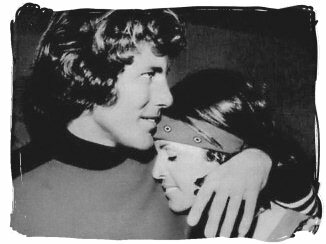 According to People magazine (April 5, 1976), it was widely reported in Starwood that he had asked her to move out by April 1st. Spider Sabich died in an ambulance en route to Aspen Valley Hospital. Claudine, 34, was arrested and charged with reckless manslaughter. She admitted to holding the gun when it killed Sabich but insisted that the weapon went off by accident. Through it all, Andy Williams was very supportive of his ex-wife. He staunchly defended her in the press and accompanied her to court proceedings. At her trial, Claudine, who had been seen on that tragic day at a local pub with friends, claimed that the gun had accidentally discharged while Sabich was showing her how it worked. Claudine's trial was a media sensation. 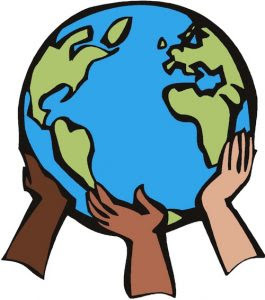 Press from all over the world descended upon Aspen, Colorado. Journalist Hunter S. Thompson, who was a resident of Aspen at the time, said that the trial was "like fouling your own nest." In a deposition, Claudine's daughter, 12 year-old Noëlle affirmed that her younger brothers were sledging when the tragic incident occurred. She stated that she heard Sabich shout "Claudine! Claudine!" and witnessed her mother calling 911. Since prosecutors were unable to refer to the inadmissible evidence, they focused on the autopsy report instead. They contended that when Sabich was shot he was bent over, facing away, and at least 1.80 m (6 ft) from Longet, which would not be consistent with the position of somone demonstrating how a firearm works. 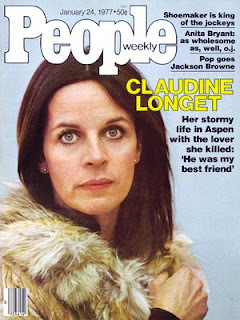 On January 31, 1977, a jury rendered its verdict in the case of Claudine Longet. Claudine was found not guilty of reckless manslaughter, but of the lesser charge of criminal negligence. An Associated Press (AP) account of the outcome. reported that Claudine begged District Court Judge George Lohr for mercy as the mother of three young children. Clad in a flowered mindress, Longet pleaded with the judge to spare her offspring the stigma of having their mother imprisoned. She argued that they would become resentful "against a system the would send the mother "they trust and believe in" to jail. Judge Lohr said that although he felt compassion for Claudine and her children, "releasing her on probation without a jail sentence" might weaken respect for the law. Longet was sentenced her to thirty days in Aspen's Pitkin County Jail at a time of her choosing, provided it was before September. The judge also put her on two years' probation and fined her $25 to defray the costs of the probation report. On April 18, 1977, she entered the county jail and began serving her sentence. Claudine may have received a light penalty from the judge, but she did not fare well in the court of public opinion. Many regarded her as as a femme fatale who got away with murder. There was a great deal of animosity toward her because Spider Sabich was regarded as an American hero, The animosity only increased when Claudine began a relationship with her defence co-attorney, Ronald D Austin, was married with two children at the time of her trial. Below is a photo of Claudine and Austin arriving at the Pitkin County Courthouse at the time of her trial (July 1, 1976). Judge Lohr criticized what he described as the hostile attitude of Aspen residents toward Longet. "The defendant will have to live with that for a long time," Lohr stated. Claudine told reporters that she was not bitter. "Because of the many cards and letters I've received, the prayers, I feel good about everybody," she declared. Judge Lohr's prophecy seems to have come true. Robert Chalmers, in his 2013 article in GQ magazine, writes that a source told him that, all these years later, Claudine is "still widely detested" in Aspen. Over 40 years later, the tragedy has not been forgotten. In 1978, Claudine signed a confidentiality agreement with Sabich's parents after they agreed to drop a civil suit against her. She is prohibited from ever telling or writing her story. However, according to the Chalmers piece in GQ, Spider's friend, Bobbie Beattie, former coach of the U.S. ski team, believes that Claudine actually meant to scare Spider, not to murder him. On June 1, 1985, Claudine married her defence co-attorney, Ron Austin. She and Austin live in Aspen in a house on Red Mountain. On May 3, 1991, Andy wed Debbie Haas, a hotel executive about 30 years his junior. According to the website of the Andy Williams Performing Arts Center in Branson, Missouri, Andy visited his friend Ray Stevens in Branson in 1991. Ray had just opened a theatre in the growing country music and entertainment locale. Andy was so impressed by the town that he opened his own theatre in Branson, named after his signature song. Thus, the $12 million Andy Williams Moon River Theatre opened its doors on May 1, 1992, two days shy of his and Debbie's first wedding anniversary. In an August 2000 interview on CNN's Larry King Live, Larry asked Andy how Claudine was doing. Not surprisingly, he was rather tight-lipped on the subject. He only said that she was "very good" and that she she still lived in Aspen. He denied that there was any bitterness between them and claimed that they were "still very good friends." On September 25, 2012, after a year-long battle with bladder cancer, Andy Williams died at his home in Branson, Missouri. He was 84 years old at the time of his passing. On January 24, 1977, Claudine Longet appeared on the cover of People Weekly magazine's first cover involving a criminal case. 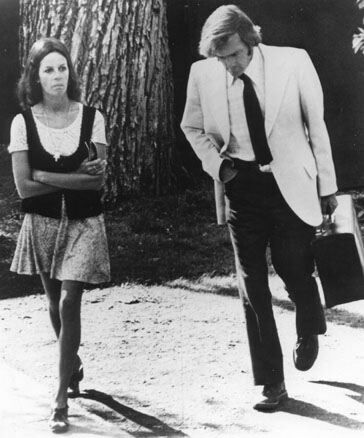 *Claudine and ex-husband Andy Williams attended Spider Sabich's memorial service in Aspen. * Mick Jagger composed a song about the Longet case entitled "Claudine." The song contains provocative lyrics and was supposed to be included in The Rolling Stones' 1980 album, Emotional Rescue album. Due to legal pressure, the group dropped the song before their album was released. It was, however, included in some bootleg Rolling Stones albums. In 2011, the "Claudine" was included in a deluxe edition reissue of Some Girls. It has lines such as "Now only Spider knows for sure but he ain't talkin' about it anymore, is he Claudine? An April 24, 1976 episode of Saturday Night Live featured a skit entitled 'The Claudine Longet Invitational" in which male skiers were "accidentally" shot by Claudine at the end of a slalom race. The producers of SNL issued an apology when threatened with legal action. * In 2003, Claudine spoke to the press for an A&E television documentary on Andy Williams. Her remarks were broadcast over still photographs. 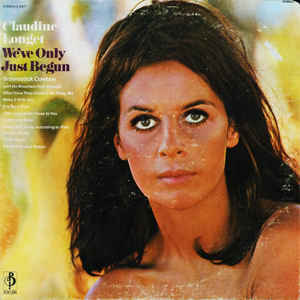 * Now 74 years old (She turns 75 on January 29th), Claudine Longet has not performed publicly since that 1976 tragedy.